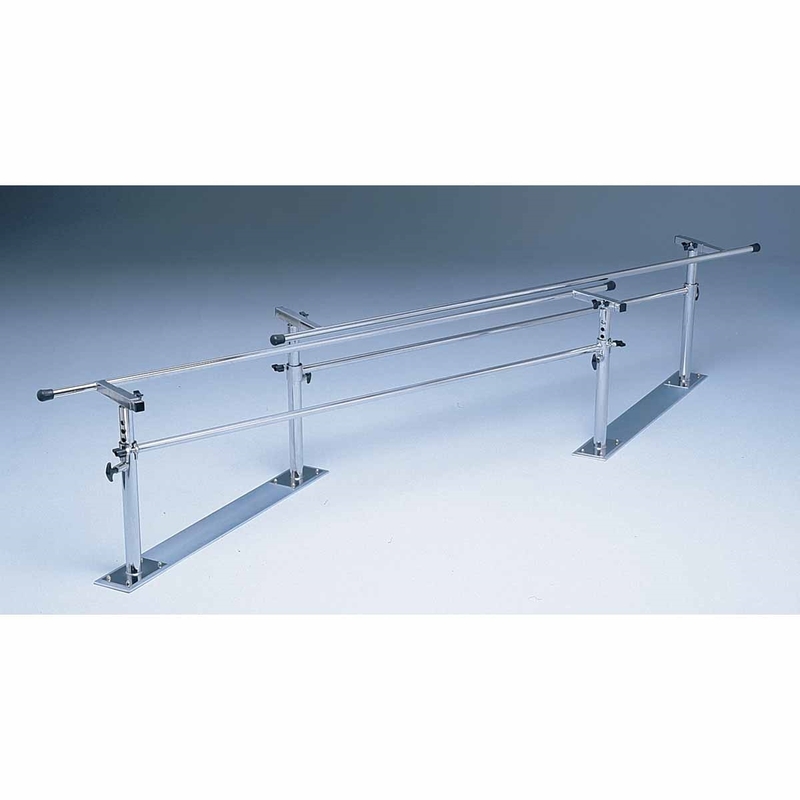 The Bailey 597 Folding Parallel Bars are sturdy and stable folding parallel bars with a 42" base that requires only 14" of floor space when not in use. The Bailey 597 Folding Parallel Bars are sturdy and stable folding parallel bars with a 42" base that requires only 14" of floor space when not in use. 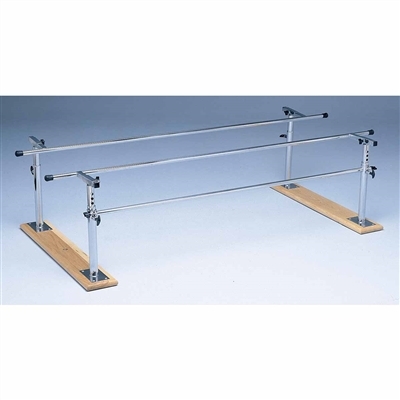 Wood base unit comes with one stabilizing bar to lock parallel bars in open position. Steel case unit comes with two stabilizing bars. To store the space saving bars, simply unlock and slide until handrails are nearly touching. Add 3 feet to length when folded. Wood Base: 7" x 42" x 1-1/4"
Steel Base: 5" x 42" x 1/4"
Height adjusts from 22" to 36"
Width adjusts from 16" to 24"